I’m a little embarrassed to admit that I have been, on rare occasions, enthralled by the Duggar family. If you’re not American—or if you avoid People and US Weekly—the Duggars are an extremely religious family comprised of 19 children. One of the family’s mottos is J.O.Y., the acronyms standing for the order in which they believe respect should be bestowed: Jesus, Others, and (finally) Yourself. It’s an interesting concept, one that can be taken too far, particularly in a rigid and patriarchical environment. But wipe out the religious overtones, and it’s probably an attitude that most people—especially parents—embody. And subconsciously or not, we do it often: Full car and one child has to ride up front (air bags turned off, of course!)? I’d rather put one of my own in the hot seat than someone else’s child. It’s one step beyond the Golden Rule: Do Better Onto Others than You Would Do to Yourself. And let’s face it, who isn’t less fortunate than I? There are two problems with the Duggar and Glinda examples above. First, they demonstrate that a form of narcissism lies at the root of these actions. 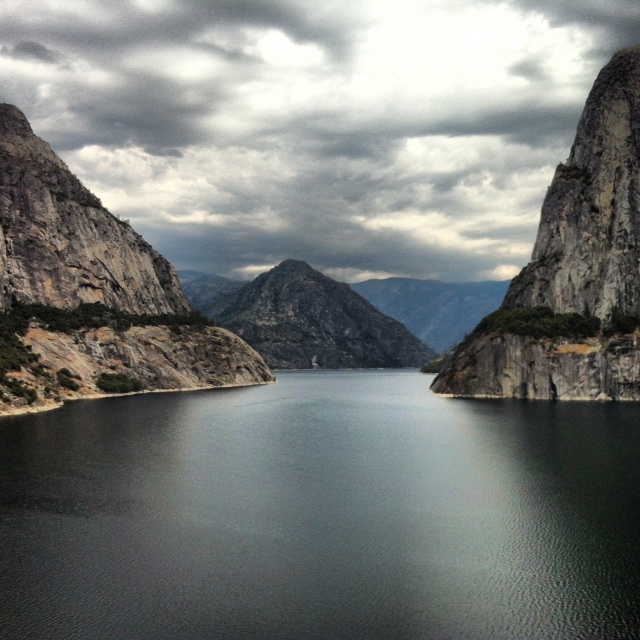 The notion that You, Awesome You can change the “flow of the river,” to use Russo’s metaphor for life, elevates the individual to quite a high level. Similarly, a form of martyrdom can result: “Oh, no, I’ll be the one to take the fall here. 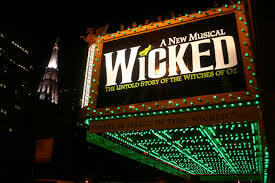 (Everyone, watch! )” We crave the certainty of knowing precise steps to follow in order to ensure the type of positive outcome that allows us to bask in the glory of a “rescued” person. You know the sentiment: “Volunteering at a soup kitchen/homeless shelter/after-school program gives me so much satisfaction because I know that I’m making a difference!” What we really want is a sure-fire way to get those feel-good results. The second way that the above examples fail, however, is that they are couched in grand gestures and lavish vocabulary. They’ve set the bar awfully high; what if failure occurs? The River Liffey in Dublin: Can you change the flow? Of course, nothing is wrong with the above. From a parenting perspective, I think society would make great strides if parents modeled a bit more empathy. And, yes, someone’s life course can transform because of an individual’s attention. But Russo does something great with one of his minor characters and illustrates how, really, the way humans operate is via a set of imperfect assumptions and amorphous methods. Otto Meyer, the principal of the high school where Miles’ daughter Tick attends, isn’t a particularly definitive or dominant individual. Otto grew up in Empire Falls with Miles—they were two kids not quite in the inner circle of popularity, but not ostracized either. When Miles’ nearly non-existent driving skills leave even the drivers ed instructor paralyzed with fear with Miles behind the wheel, it is Otto who leans over and depresses the brake. And when Miles starts going to the Empire Grill—the local dive that he later manages—to bask in the presence of his crush, Charlene Gardiner, Otto agrees to accompany him. While Otto clearly possesses a genuine nice streak and in some form is helping out his buddy, his actions—at the core—are selfish. Although he may have wanted to save Miles further embarrassment at the hands of the driving instructor, Otto was a passenger in the car as well; saving the car from a crash would only benefit him as well (although he does sustain a minor injury as a result of his heroism). And accompanying Miles to the Empire Grill? It turns out that Otto, too, enjoyed being in Charlene’s company. So, which is it? Is Anne’s more laissez faire style the right way to parent, to “change the flow of the river”? Or does Otto’s desire to be more definitive in his discipline of Adam point to the correct impetus for change? And, lastly, will anything that he and Anne do or don’t do actually affect their son? One thing is true, though: They both want Adam to know that they care for and love him. And I think that through the fumbling expressions of that love, through the conflicted ways the two parents wish to proceed, and through the knowledge that they are both maneuvering under perhaps the tiniest bit of selfishness (maybe Otto, as principal, is motivated by not wanting to “look bad”, maybe Anne can’t muster the energy to discipline properly), a person on the receiving end of these sentiments may actually change. I think that Russo’s book, such a magnificent piece of fiction and full of rich and clever allegory (how did I miss reading this one when it was first published? ), holds up partly because it supports the fact that unlike the desires of Jim-Bob Duggar and Glinda, our best efforts will always be riddled with imperfection and unidentified nuances, making any changes to river flow all the more sweet. In one of Empire Falls‘ pivotal moments, it is Otto who ultimately does put someone else before him, but the reader doesn’t know whether to classify his action as intentional or merely instinctual. There’s no formula, and it’s in our grappling with how best to “better” someone, demonstrated by Otto, that the genuine caring comes through. Is it a luxury—or a curse—to live in a carefully prescribed environment? Do the securities of a wondrously understandable world outweigh the insecurities that result in living in a porous, shifting, and dynamic environment? There’s an economic principle called Pareto Efficiency that essentially states that you cannot add to one individual’s set of resources without taking away from another’s set of resources. I’m not an economist; although I studied enough economics in college to qualify for a minor, I’m really a humanities person, so leave it to me to think about how this principle applies in emotional, rather than financial, scenarios. As a result, I’ve seen each place I’ve lived—a collection of different environments—as experiences meant to be kept separate. I’ve always seen it this way: If I pour my energies into life in Dublin, all the previously exerted energies in New York, for instance, drizzle down some sort of drain, as if they’re needed elsewhere. 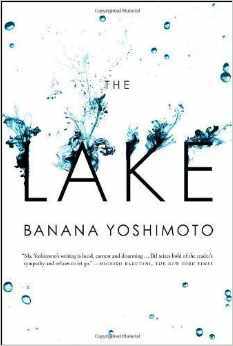 The Lake by Banana Yoshimoto addresses these issues of place and identity. Chihiro, a muralist grappling with the death of her mother, meets Nakajima, who soon becomes her boyfriend, although their respective hurts—his seemingly more acute than hers—play a role in their relationship. Attempting vulnerability with his new love, Nakajima reveals some of the things that hinder him from a more carefree life—intimacy being a big one—but nonetheless maintains deep secrecy as to why these issues exist. Once he takes Chihiro to a cabin on a lake, however, a mild and tender love unfolds, and this significant place—and two significant people from Nakajima’s childhood—provides the setting, the place for their lives’ details to become exposed. “When things get really bad, you take comfort in the placeness of a place.” At the beginning of The Lake, author Yoshimoto gives Chihiro these words. Why is it that certain locations produce such subtle and nuanced reactions? It is if vague, but powerful, emotions from a certain era—childhood, most likely—reveal themselves ever so slightly when confronted with a sliver of their settings. At the beginning of the book, Chihiro ruminates that “My parents never even considered leaving town to try and find a lifestyle that was actually their own. Because being there together, hemmed in—that was their way of life.” Similarly, she thinks, “Everything that tied me to my hometown was a pain. The less of it the better…All my life, I cherished the possibility of escape.” Seeing her life in Pareto-like standards, Chihiro departs for the city. And later, she ponders the idea of going with Nakajima to Paris, potentially leaving her two previous homes completely behind. But what Yoshimoto does, through the relationship she creates between her protagonist and the wounded Nakajima (who, it is later revealed, has to force himself to recall the feelings of his childhood due to trauma), is introduce Chihiro to the fact that life is more than a one-two-three step of experiences and settings, because these things are not necessarily concrete objects. Instead, they are feelings and emotions that are near-indescribable—and feelings and emotions, of course, can sneakily manifest themselves under unusual and unexpected circumstances. So what does the “placeness of a place” really mean? I have my own little philosophy that I can never live in the same place twice. When I move from somewhere, I have a tendency to leave the place not only physically, but mentally and emotionally as well. Although I’ve truly enjoyed every place I’ve lived, when the time has come to move, I get a little “been there, done that” in an attempt to help myself move along. The experiences I lived through in a place, although carried on through memories and friendships that hopefully endure, are, in my mind, distinct to that place, that time. I’ve lived in six different—and very distinct—cities thus far, but unfortunately, I’ve already blown my own experiment once, as I’ve lived in New York two different times, five years apart. Why did this detour ruin my theory? Because although moving to New York—this time with two children in tow—felt familiar, what I lived through the second time around differed from the first time in small and somewhat elusive ways. When we left New York again, I feel like I had gained a mishmash of congealed understandings of what life in New York feels like. Pareto Efficiency, what I probably hoped for when younger, won’t work in this scenario, because on the other hand, I didn’t feel like I lost anything (except for all that money that went toward rent). Although a place is left behind, the placeness—the emotions that emerge when triggered by something as mundane as a street sign or a smell of honeysuckle—remains, and it can remain in the strangest of cases. American culture places great value on reinvention and “self-improvement.” What we see at 20 years old should not, in theory, be what we get at age 40. 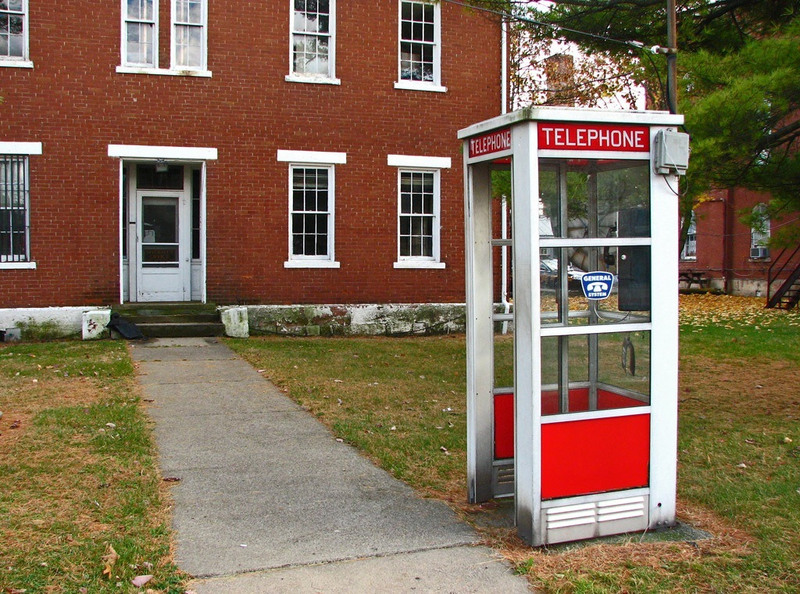 Except for those who perhaps had a painful upbringing, such as Nakajima, this is not a Superman-in-a-phone-booth transformation. Instead, a subtle shedding of certain traits occurs year after year, while new ones sprout—but not necessarily in equal measure. For the most part, I think this is a good thing: Who wants to be remembered for teenaged foolishness without any subsequent maturation? But to me, the most interesting part of aging has been that the character development that occurs in different phases—for me, these phases most often coincide with geography—starts to provide a patina to every phase that is to come, without forfeiting previous layers. I’m coming up on my 20th high school reunion, and I think what surprises me the most is that there is still a place for me—someone who has barely kept in touch with classmates and who has very rarely even been in the city that my parents moved from nearly 20 years ago—at the table. 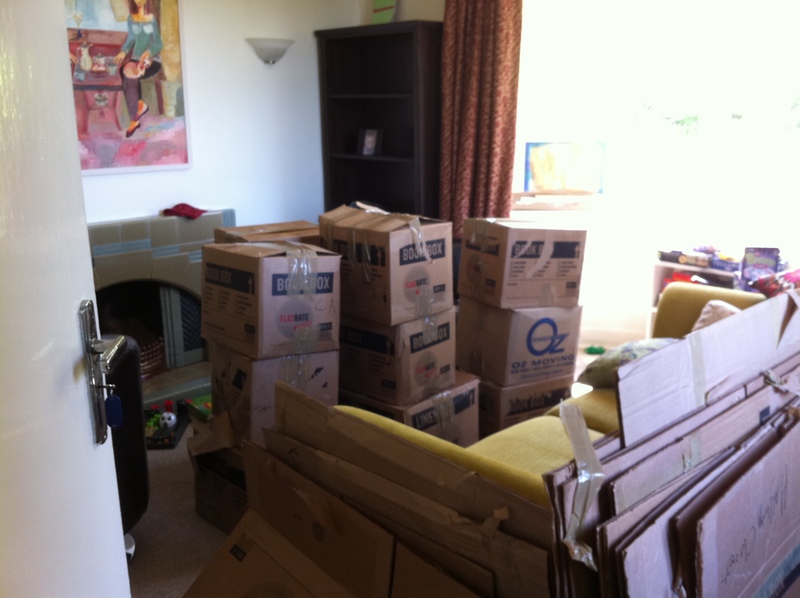 Not that I wilfully declared that phase over-and-done-forever-and-ever. No, I suppose I just thought that to happily move on to the next phase, I must shut the door completely to the past phase. So is staying put the answer? For some, maybe it is. But for the rest of us, according to Yoshimoto, in the end it doesn’t really matter. To mature, one doesn’t need to close the door, Pareto-style, in order to live life fully. In my case, I would argue that moving around and experiencing new cultures, climates, and lifestyles has only added to my resiliency and understanding of others. But not everyone chooses to move every five years. (And I wouldn’t necessarily recommend it without caveats.) As Yoshimoto writes, “Of course, it’s true that sometimes the pink at sunrise somehow seems brighter than the pink at sunset, and that when you’re feeling down the landscape seems darker, too—you see things through the filter of your own sensibility. But the things themselves, out here, they don’t change.” Our perception of our surroundings changes even if they’re the same surroundings. As I’m writing this piece, I’m enjoying the warmth of Portugal. 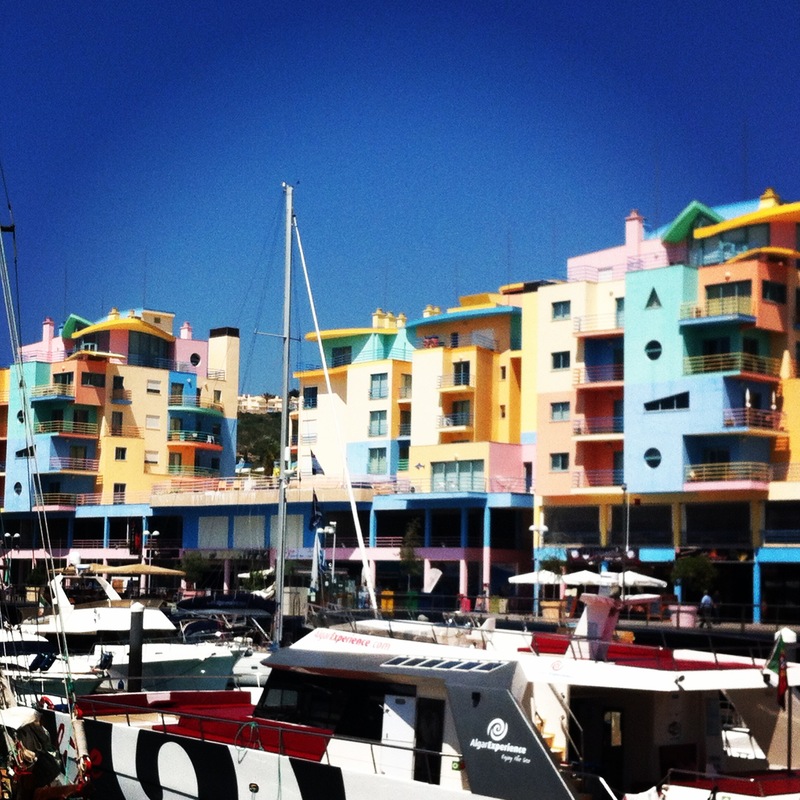 This is my first time here, yet I’m struck by this jumbled, but vivid, fusion of places that I’ve already experienced: The fishing boats remind me of the Pacific Northwest, the dry pine needles of central Oregon, the unique red rocks on the Algarve beaches of landlocked Sedona (that one was surprising), and the overall European seaside vibe of an Italian vacation when I was a teenager. And, really, doesn’t the smell of sunblock provide intense recollection for pretty much everyone? At the same time, this is of course its own unique place full of “firsts” for every member of my family. And I wonder if our time in Portugal would have been as special if I had obliterated anything to remind me of its placeness? When we visited the National Museum of Scotland in October, we ventured into the “rocks and minerals” wing, usually a favorite spot for my daughter. However, this time, it was my son who seemed to have a strong reaction to the amethyst geodes and orbicular granodiorite. A few feet away from him and my husband, I heard the latter gasp, “What did you say?” It turns out that my son had, rather loudly, announced the display they were looking at: Folded Schist. 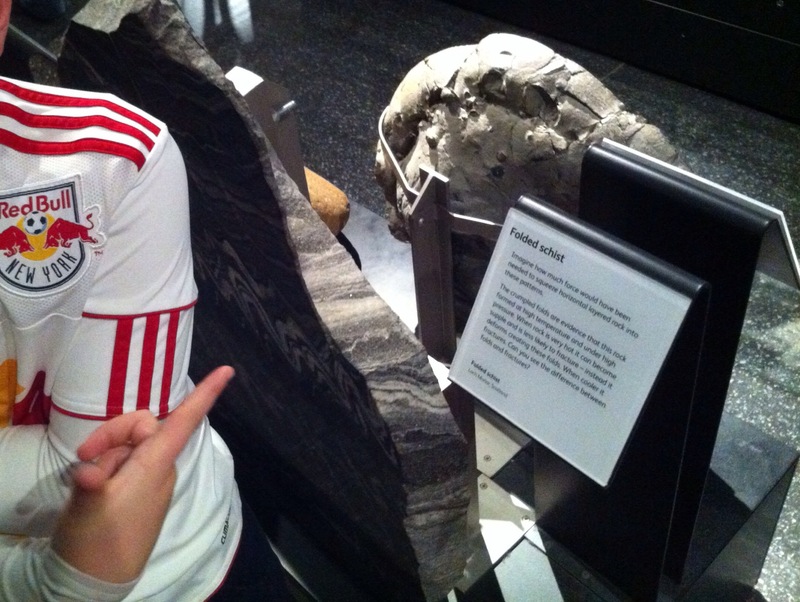 I’ll let you try to imagine what my husband thought his dear offspring had exclaimed in a museum. 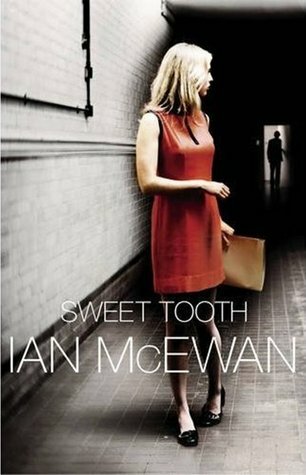 Well, Sweet Tooth, by Ian McEwan, is therefore an appropriate book to choose for a blog that examines the potential ways that a piece of fiction can inspire a reader—in big sweeps or little peeps—or provide color to what we accept as truisms. On March 24, The New Yorker’s “Page-Turner” column posted an interview with author Louise Erdrich, where she mentions that “Nothing I write ever has a moral. If it seems to a reader that there is one, that is unintentional. But is there a reason I wrote this story [“The Big Cat”]? Perhaps.” Oh. What, then, is a reader looking for? There’s certainly a brand of fiction that paints a moralistically clear picture. Think John Grisham’s A Time to Kill, or many mystery reads. But Sweet Tooth delves into the world of MI5, the British equivalent of the CIA, and we’ve got a literary Homeland on our hands. Who’s right, what’s wrong, and what is the author really trying to relay here? 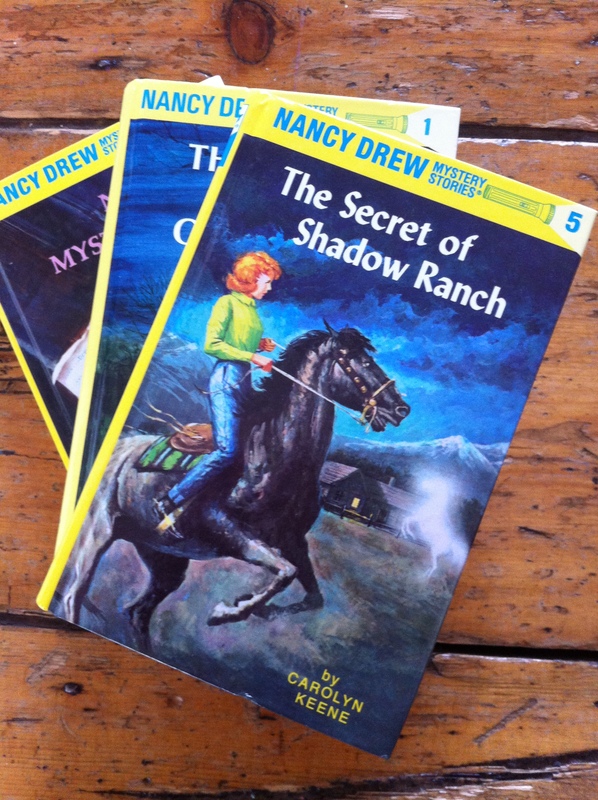 This is not as simple as Nancy Drew would have us believe! Serena Frome, recruited to MI5 via a former lover, is asked to get involved in Operation Sweet Tooth, an attempt to subtly propagate pro-Western and pro-capitalist messages via literature. Fitting for anyone who loves to read, our protagonist is a book lover as well. As she ages, her reading preferences transform from “I wanted characters I could believe in, and I wanted to be made curious about what was to happen to them,” to “And I suppose I was, in my mindless way, looking for something, a version of myself, a heroine I could slip inside as one might a pair of favourite old shoes…For it was my best self I wanted, not the girl hunched in the evenings in her junk-shop chair over a cracked-spine paperback, but a fast young woman pulling open the passenger door of a sports car…I craved a form of naïve realism.” And so after falling in love with the short stories of her “target,” a writer named Tom Haley, she slides into their own version of a plot and falls for him. Just as Serena’s understanding of what it means to “read” matures, I think there are two ways that we read a work of fiction. 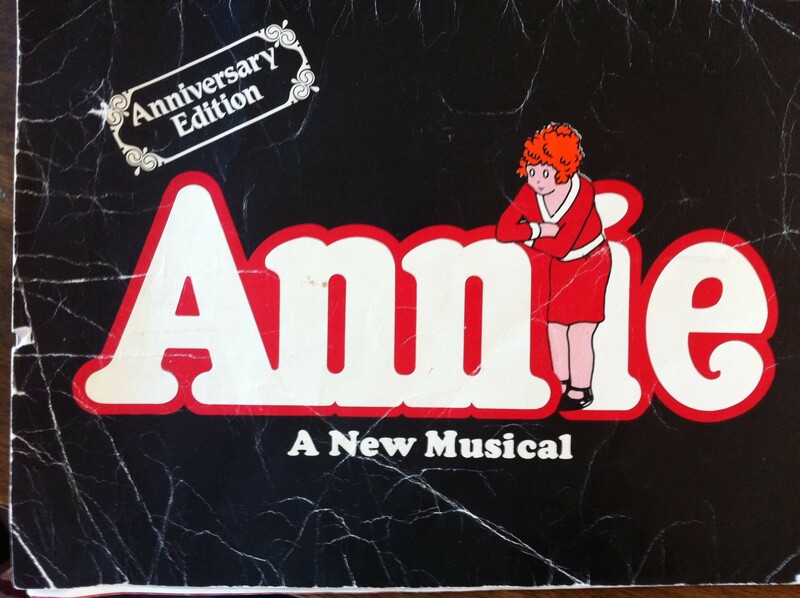 When I was five, after I saw a Broadway touring show of Annie, I thought living in an orphanage with all my best friends and an evil matron who we would overpower with our acrobatics and mischievous ways would be a fantastic way to live. (Sorry, Mom and Dad.) This is what I consider the “escapism” part of reading (or in this case, watching a show). We know it’s not realistic—although that notion didn’t stop me from trying to give myself an Annie perm with my mom’s curling iron—but it’s fun. I don’t think the author’s intent is necessarily hidden in this case: No folded schist here! But what about the massive amount of complex literature out there? Many books are trickier and stickier. On this blog’s “about” page, I include a quote from Julian Barnes which essentially intimates that writers get to share their own precise version of the world. Reading a book like this is not about slotting ourselves in to some madcap adventure that will never come to fruition; it’s picking and choosing the best versions of a character or a plot and layering them on top of every other philosophy we maintain. How do authors feel when a seemingly crystal-clear message gets garbled? Or are authors more like Louise Erdrich, forfeiting distinct messages for ambiguity? With these types of books, we attach great meaning to characters and their motives and perhaps think, “What would I do in that situation?” or “What are the moral implications of the way this plot is unfolding?” Of course, no writer can examine every permutation of a situation, so we’re left to our own devices. Is it somehow wrong that a book speaks to us so emphatically that we attach great meaning to it? One of Sweet Tooth’s take-aways (I mean, for me. Mr. McEwan, do you care to comment?) is how easily fiction and fantasy can become intertwined or confused with hard facts, resulting in some twisted, ethereal reality. Perhaps this thought makes you want to throw away all your Margaret Atwood novels and go back to Mitford. But by the end of Sweet Tooth, all I kept thinking is that we are, in fact, our own walking texts that are being read and interpreted daily. Perhaps Marshall McLuhan, granddaddy of contemporary media theory, would agree: The medium is the message, after all. What do we want to attempt to convey, knowing that not everyone’s going to get it right? Folded schist, that’s pretty profound.